Funko Confirms MOTU Pop Vinyl Series! Posted by Jon in Funko, Masters of the Universe with 1 comment. Do you hear that? That is the sound of thousands of MOTU Wacky Wobbler preorders being canceled in anticipation of the Funko Masters of the Universe Pop series! 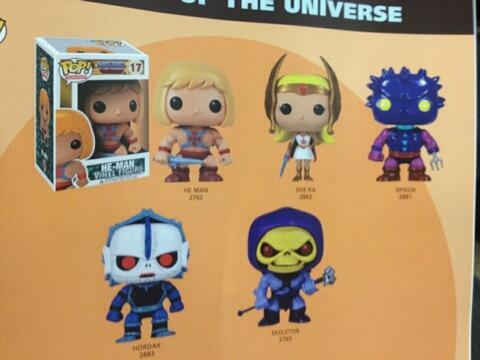 When we first heard Funko has the MOTU license I think we all thought they were going to do a Pop! series with them much like they have done with every other license out there today. So the original announcement was the Wacky Wobblers series, and now we have confirmation from the Dallas Toy Show that the Pop line is a go as well! The only explanation for that last one is they must have a Spikor fan in the house over there at Funko.